We were contacted by a young girl who found a message in a bottle 400 miles away that had been launched from Cullen Bay beach. 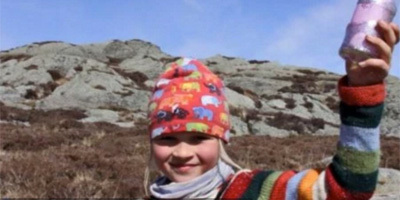 It was amazing to discover that the bottle was found in Norway by a seven year girl called Signe. We did a Facebook search to find who had sent the message and it resulted in finding 10 year old Eva who had sent the message last October whilst on holiday in Cullen. It hit the press with some great coverage…..